North Island is introducing a limited special offer for all new bookings confirmed between 01 May and 31 October 2017 for travel anytime before 15 December 2018. The special is valid for bookings with a minimum of 5 nights, or stay longer to take advantage of our Stay 7 / Pay 6 offer. North Island features just 10 luxurious Presidential Villas which offer total privacy, exclusivity and generous space. The luminous white sands and turquoise waters of East Beach are directly on your doorstep. Book a Presidential Villa between 1 May and 31 October 2017 for travel any time before 15 December 2018, for a minimum of 5 nights and receive a complimentary one-way helicopter transfer from Mahé to North Island in a Eurocopter EC120. Stay longer and take advantage of our Stay 7 / Pay 6 offer. Our generous child rates also mean that under-17s sharing the second bedroom stay for free. 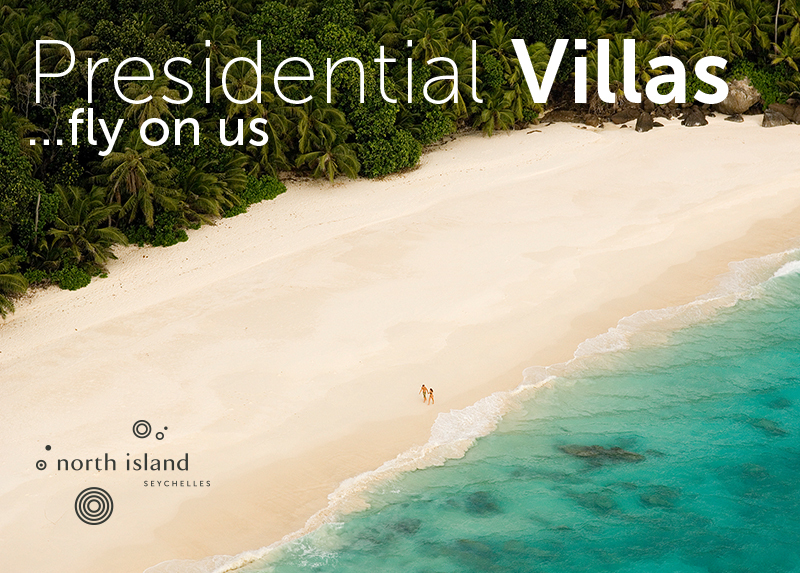 Only one of its kind, Villa North Island offers unparalleled exclusivity, luxury and romance. Perched on the granite boulders at the far end of East Beach with panoramic ocean views and direct access to the beach, it is the quintessence of privacy and seclusion. 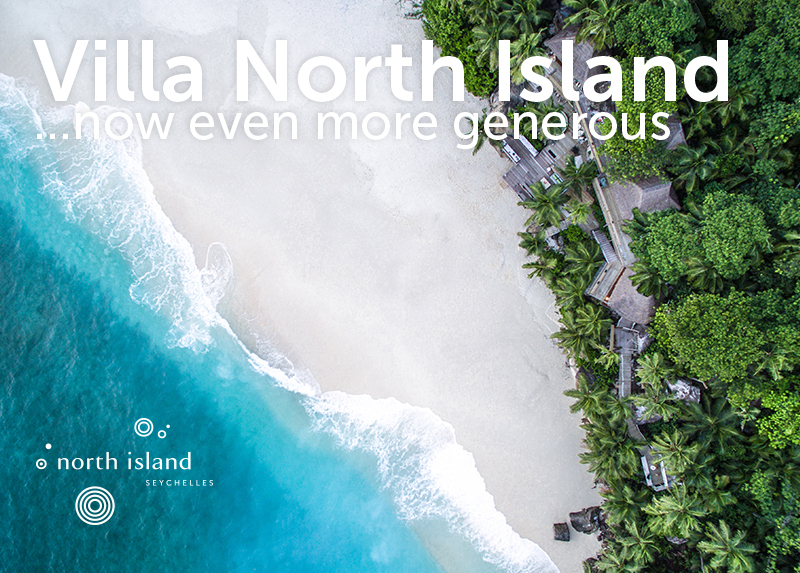 Book Villa North Island between 1 May and 31 October 2017 for travel any time before 15 December 2018, for a minimum of 5 nights and receive a complimentary return helicopter transfer from Mahé to North Island in a Eurocopter EC120. Stay longer and take advantage of our Stay 7 / Pay 6 offer. This limited special offer also includes a daily 60-minute couple’s treatment of your choice at the beautiful North Island Spa. These special offers are not applicable for travel between 15 December 2017 and 5 January 2018.